Any analysis on the climate impact of a data center should consider resource utilization and energy efficiency, in addition to power mix. Carbon emissions are a factor of three things: the number of servers running, the total energy required to power each server, and the carbon intensity of energy sources used to power these servers. A recent blog post by Jeff Barr outlines why using fewer servers and powering them more efficiently is at least as important to reducing the carbon impact of a company’s data center as its power mix. A typical large-scale cloud provider achieves approximately 65% server utilization rates versus 15% on-premises, which means when companies move to the cloud, they typically provision fewer than ¼ of the servers than they would on-premises.1 In addition, a typical on-premises data center is 29% less efficient in their use of power compared to a typical large-scale cloud provider that uses world-class facility designs, cooling systems, and workload-optimized equipment.2 Adding these together (fewer servers used plus more power efficient servers), customers only need 16% of the power as compared to on-premises infrastructure. This represents an 84% reduction in the amount of power required. 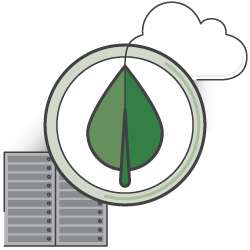 Combining the fraction of energy required with a less carbon-intense power mix, customers can end up with a reduction in carbon emissions of 88% by moving to the cloud and AWS. We’ve made a lot of progress on this commitment. AWS exceeded 50% renewable energy usage for 2018. In addition to the nine renewable energy projects below, AWS has announced three new wind farms. These projects – one in Ireland, one in Sweden, and one in the United States – will total over 229 megawatts (MW), with expected generation of over 670,000 megawatt hours (MWh) of renewable energy annually. Once complete, these wind farms, combined with AWS’s previous renewable energy projects, are expected to generate more than 2,700,000 MWh of renewable energy annually – equivalent to the annual electricity consumption of over 262,000 US homes, approximately the size of the city of Nashville, Tennessee. Amazon Solar Farm Virginia – Eastern Shore is an 80 megawatt solar farm in Accomack County, Virginia. The solar farm went into operation in October 2016 and is expected to generate approximately 170,000 megawatt hours of solar power annually – or enough to power approximately 15,000 US homes4 in a year. Click here to watch the video. Amazon Solar Farm Virginia – Eastern Shore is an 80 megawatt solar farm in Accomack County, Virginia. Amazon Solar Farm Virginia – Buckingham is a 20 megawatt solar farm in Buckingham County, Virginia. The solar farm went into operation in November 2017 and is expected to generate over 48,000 megawatt hours of solar power annually – or enough to power over 4,000 US homes4 in a year. Amazon Solar Farm Virginia – Buckingham is a 20 megawatt solar farm in Buckingham County, Virginia. Amazon Solar Farm Virginia – New Kent is a 20 megawatt solar farm in New Kent County, Virginia. The solar farm went into operation in November 2017 and is expected to generate over 48,000 megawatt hours of solar power annually – or enough to power over 4,000 US homes4 in a year. Amazon Solar Farm Virginia – New Kent is a 20 megawatt solar farm in New Kent County, Virginia. Amazon Solar Farm Virginia – Sappony is a 20 megawatt solar farm in Sussex County, Virginia. The solar farm went into operation in November 2017 and is expected to generate over 48,000 megawatt hours of solar power annually – or enough to power over 4,000 US homes4 in a year. Amazon Solar Farm Virginia – Sappony is a 20 megawatt solar farm in Sussex County, Virginia. Amazon Solar Farm Virginia – Scott is a 20 megawatt solar farm in Powhatan County, Virginia. The solar farm went into operation in December 2017 and is expected to generate over 48,000 megawatt hours of solar power annually – or enough to power over 4,000 US homes4 in a year. Amazon Solar Farm Virginia – Scott is a 20 megawatt solar farm in Powhatan County, Virginia. Amazon Solar Farm Virginia – Southampton is a 100 megawatt solar farm in Southampton County, Virginia. The solar farm went into operation in November 2017 and is expected to generate approximately 210,000 megawatt hours of solar power annually – or enough to power over 19,000 US homes4 in a year. Amazon Solar Farm Virginia – Southampton is a 100 megawatt solar farm in Southampton County, Virginia. 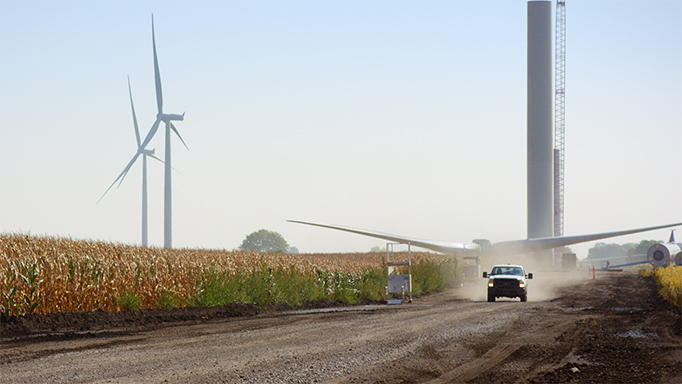 Amazon Wind Farm Indiana – Fowler Ridge is a 150 megawatt wind farm in Benton County, Indiana. The wind farm went into operation in January 2016 and is expected to generate approximately 500,000 megawatt hours of wind power annually – or enough to power approximately 46,000 US homes in a year4. Click here to watch the video. Amazon Wind Farm Indiana – Fowler Ridge is a 150 megawatt wind farm in Benton County, Indiana. Amazon Wind Farm North Carolina – Desert Wind is a 208 megawatt wind farm in Perquimans and Pasquotank counties, North Carolina. The wind farm went into operation in December 2016 and is expected to generate approximately 670,000 megawatt hours of wind energy annually - or enough to power more than 61,000 US homes4 in a year. Amazon Wind Farm US East is the first utility-scale wind farm in the state of North Carolina. Amazon Wind Farm North Carolina – Desert Wind is a 208 megawatt wind farm in Perquimans and Pasquotank counties, North Carolina. Amazon Wind Farm Ohio – Timber Road is a 100 megawatt wind farm in Paulding County, Ohio. The wind farm went into operation in December 2016 and is expected to generate approximately 320,000 megawatt hours of wind energy annually - or enough to power more than 29,000 US homes in a year4. Click here to watch the video. Amazon Wind Farm Ohio – Timber Road is a 100 megawatt wind farm in Paulding County, Ohio. In addition to AWS’s renewable energy progress, Amazon.com has also announced renewable projects – please visit Amazon Sustainability for more details. AWS announced three new wind farms - one in Ireland, one in Sweden, and one in the United States. When complete, these projects are expected to generate 670,000 megawatt hours (MWh) of renewable energy annually. AWS exceeded 50% renewable energy usage for 2018. 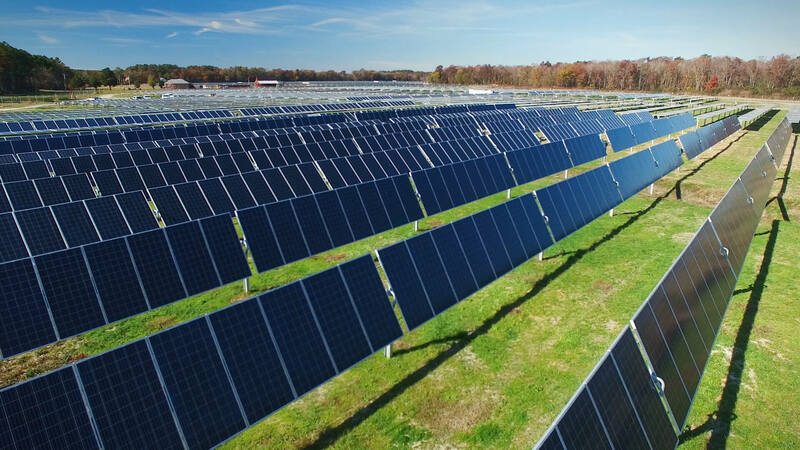 Five solar farms that AWS previously announced are now in operation in the Commonwealth of Virginia. Together with Amazon Solar Farm US East, the six solar farms bring 260 megawatts of renewable energy capacity onto the grid. In addition to the sustainability initiatives focused on powering the AWS global infrastructure, Amazon is pursuing sustainability across the company. For more information, please visit Sustainability at Amazon and the Amazon Sustainability Question Bank. 5 Source: Dividing the population of the city of Nashville, Tennessee (667,560 in 2017) by the average number of persons per household in 2017 (2.54 according to the US Census Bureau), you get 262,818 homes. 6 In some cases, our utility partners retire environmental attributes on our behalf. The amount purchased and retired is based on each region’s published grid mix.